Tiny Town is a small village of bespoke cubbies, made from local recycled fruit and vegetable crates. 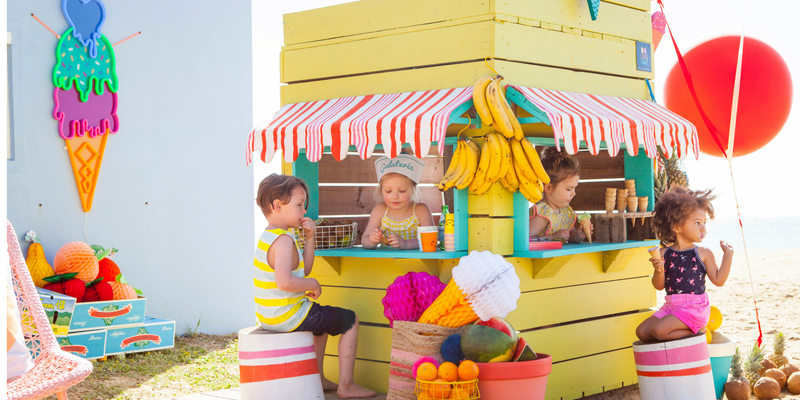 Themed as a cafe, market, bakery and post office, the cubbies will provide hours of entertainment for your little ones, role playing, interacting & creating. The hardest part of the visit? Trying to convince your kids it's time to go!! Please report any damages to Customer Service or our Security Team.